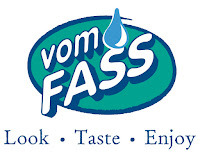 Vom Fass - San Diego Dining Dish! You know when you have a birthday or it's Christmas and someone gives you a gift that you would never think to ask for, but when you open it, it's so perfect and the best thing ever? It's like something that you never even knew that you needed, but once you have it, you wondered how you ever lived without it (excuse the hyperbole, but everyone has those things that just make their lives easier). 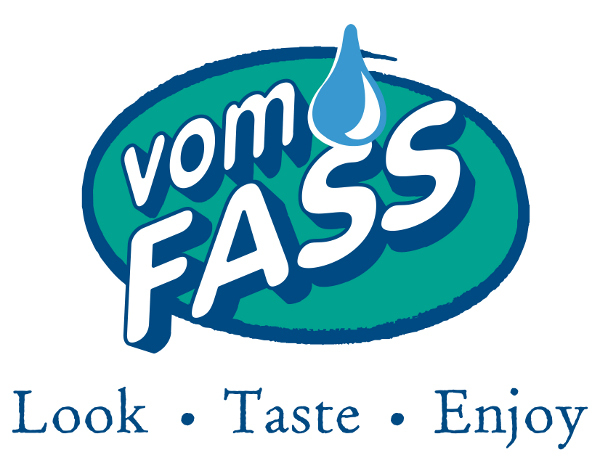 Vom Fass is just that thing in your life that you never knew how much you loved until you visit it. 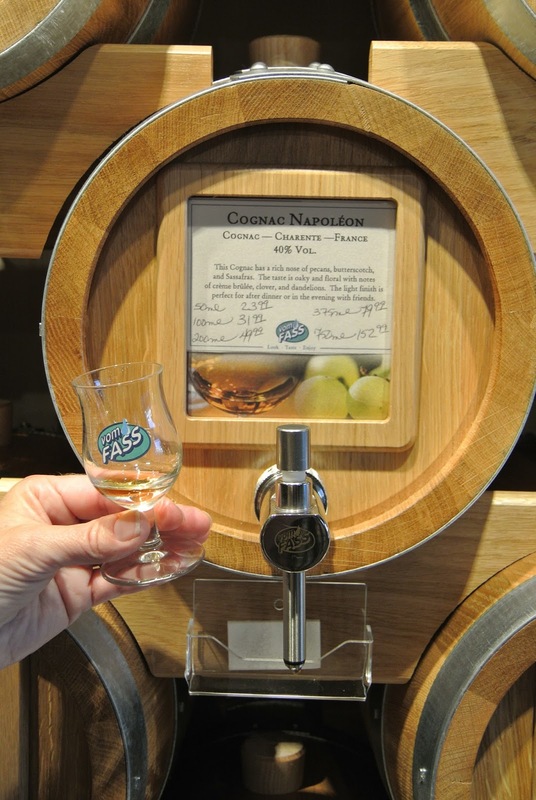 Vom Fass in a nutshell is a purveyor of the fun things of adult life -- gourmet oils (of every nut and seed), vinegars, fine wines, and hand-crafted spirits. The unique point of the store is not simply that they carry items that are impossible to obtain elsewhere (pumpkin seed oil, calamansi vinegar, etc. 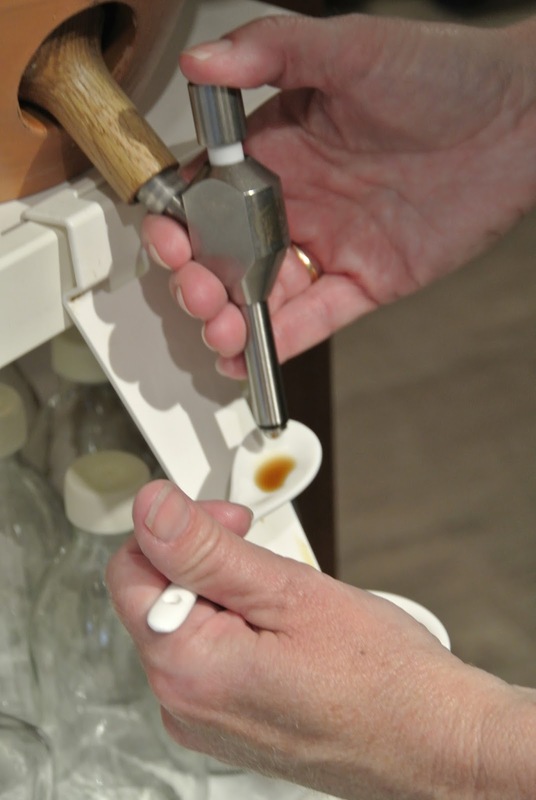 ), but the method of dispensing these special items is novel. 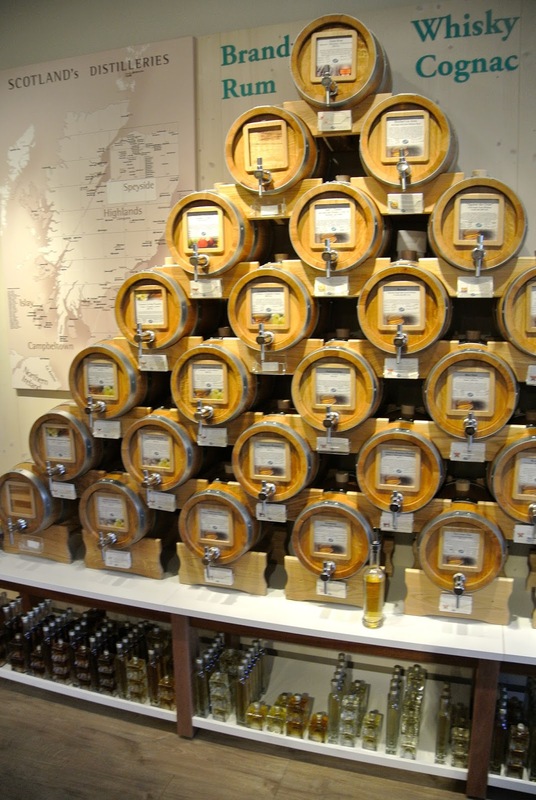 The customer buys a bottle from Vom Fass, then can fill it with the item of their choice from the barrels of products, then pays for the amount of the vinegar, oil, or liquor. Wine is sold by the bottle. 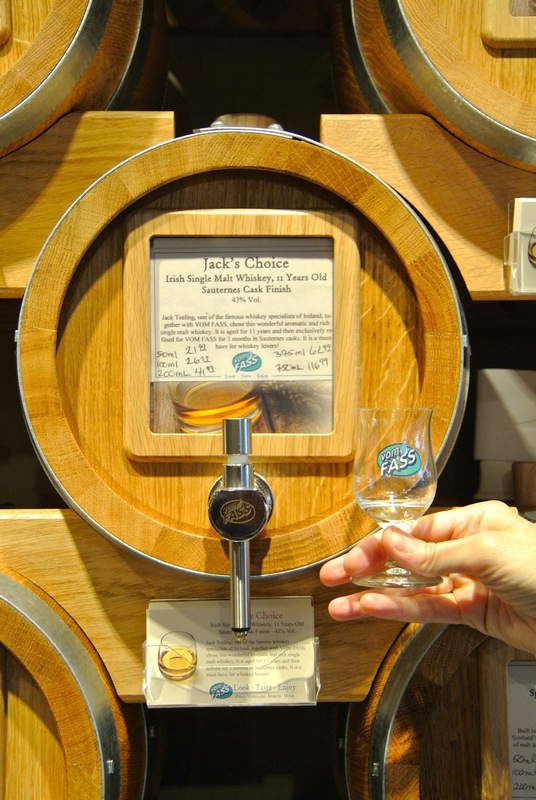 The system is much like obtaining a growler, then taking it to the tap room for a refill. Now to the fun part, exploring the flavors! 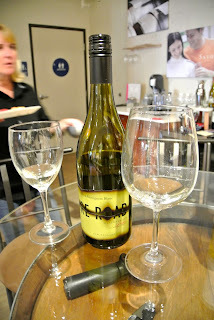 We started with the oils for our tasting. 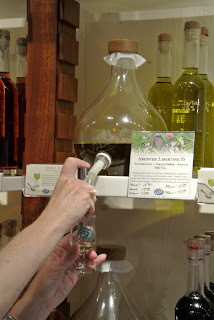 I was overwhelmed by the various flavors -- things that I'd never even thought of as having an oil. The pumpkin seed oil was something that everyone should taste. It was thick, brown, sweet, and nutty. 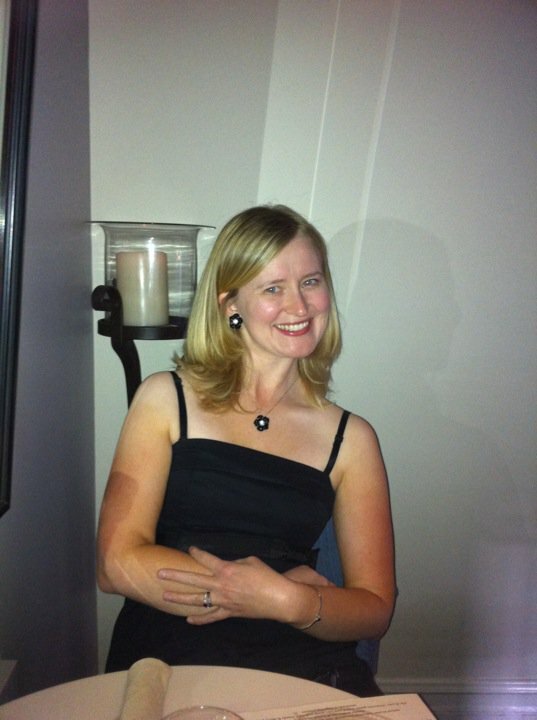 The other oils enjoyed were pistachio, grapefruit oil, and argan oil. The argan oil was...weird. It was part of the wellness line, which are more for the effects than flavor. 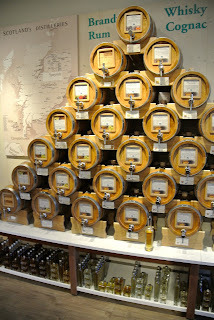 The vinegars were stupendous, with so many flavors, tart and sweet. My very favorite (and the best seller) is the calamansi, a Philippines citrus fruit vinegar that was a perfect mix of sweet and sour. The fig chili vinegar was also a favorite, with a very nice spicy flavor. 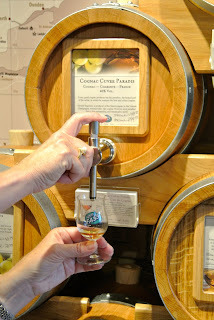 Another favorite was the aged balsamic vinegar, a great condiment to fruit with its sweet flavor. 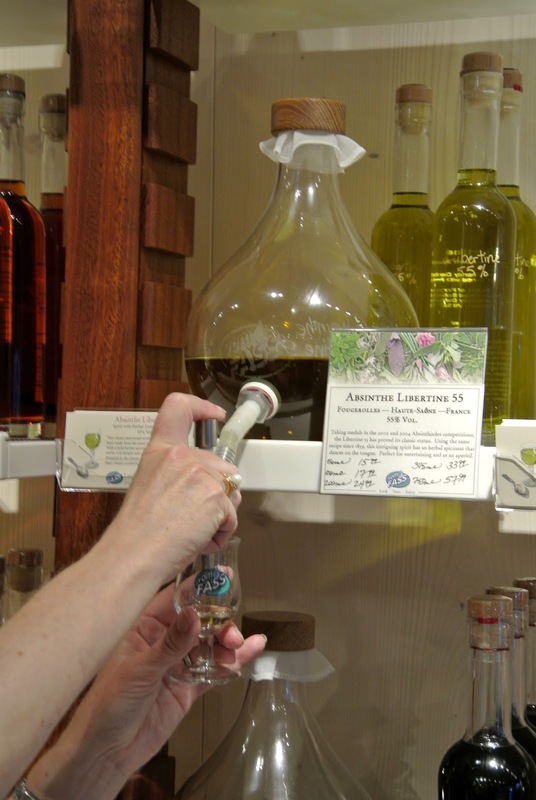 The vinegars and oils aren't just salad dressings, but had my mind racing with cooking possibilities. 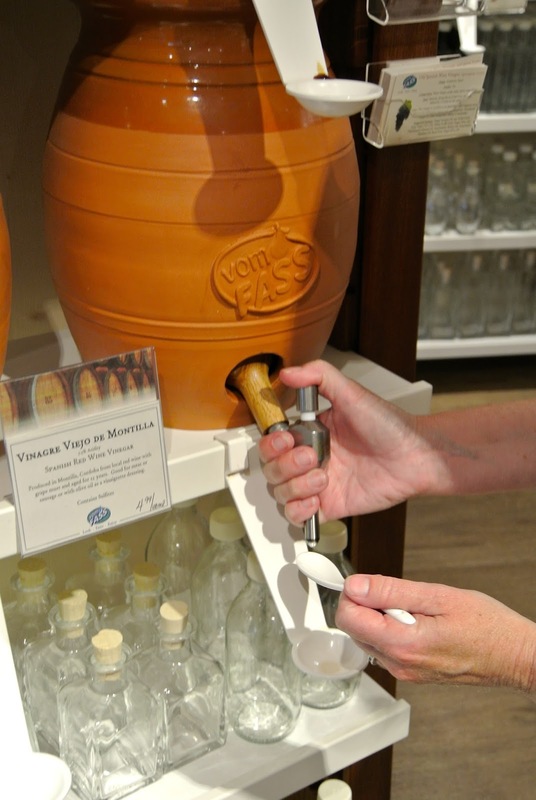 Vom Fass has a recipe card for each item to suggest how it can be best used. Next up was the spirits and liqueurs, hosting some of the finest hand-crafted scotch whiskeys and brandy in the world. 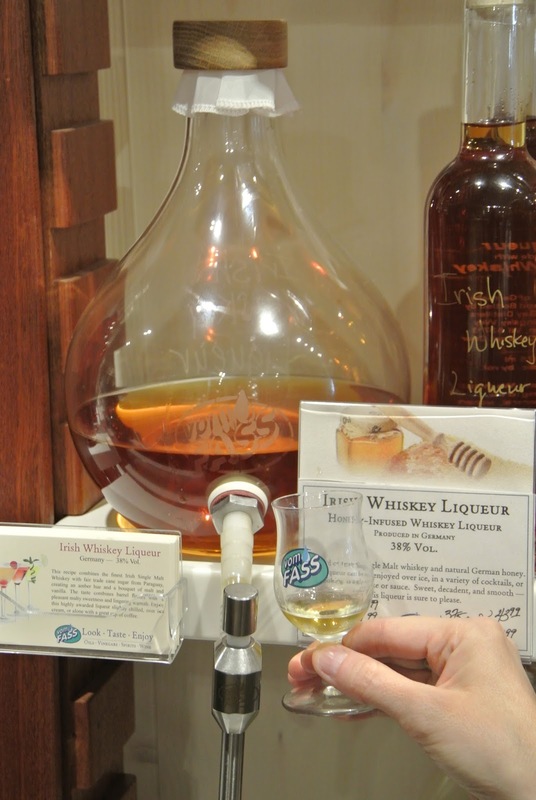 Sadly, the bourbon was unavailable for this tasting, but a tiny sip of two different kinds of the Irish Whiskey and two of the cognacs was delicious. A sip of premium rum was a nice finish to the barreled fine spirits. 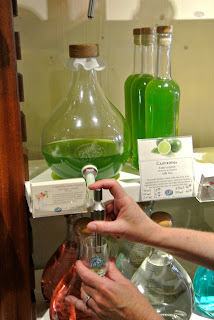 We moved on to the colorful liqueur display, and were charmed by the delicious ginger liqueur and hot pepper vodka (which isn't a liqueur, but an infusion). The hot pepper vodka was actually very spicy! There was also a honey Irish whiskey that was incredible. The recipe card for this one is "serve over ice" so you know it was good stuff! 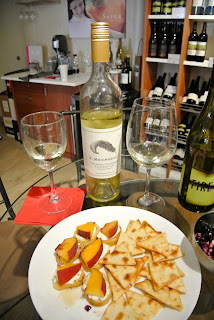 A wine tasting of four delicious wines was a nice finish to the evening, with some bites created with the store's wares. 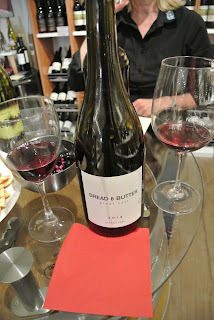 Blueberry corn salsa with chips and a peach and goat cheese toast were perfect accompaniments to two yummy white wines and two sumptuous reds. The variety of wine is very good. 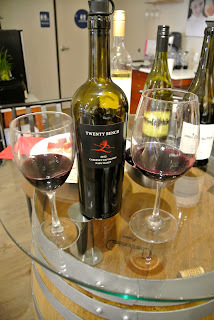 They are hand-selected by the store owners, and range from under $10 to more than $50, making selection a happy chore. The finish for the evening was a lovely taste of absinthe. Yes, they carry it, and yes, it is authentic!